Although it may seem like a dry skin problem, dandruff is more common in those with oily skin. Hormones and sensitivity to a yeast called P. ovale may exacerbate the problem. Certain dietary factors may contribute to this condition, too. Normally, dandruff isn't medically serious and won't cause baldness, but if you notice itching or inflammation, consult a health care provider. Not getting enough B-complex vitamins may contribute to dandruff, suggest experts from Penn State University. Low levels of vitamin B12 in particular can lead to dandruff, as well as scalp scaliness and hair loss. Because animal products are the primary source of vitamin B12, if you're a vegan or strict vegetarian, you may need dietary supplements. Low dietary levels of zinc can cause dull, unmanageable hair and even hair loss. [ This mineral may also influence dandruff, because eating more foods rich in zinc can help treat dandruff in some individuals, Penn State University experts note. 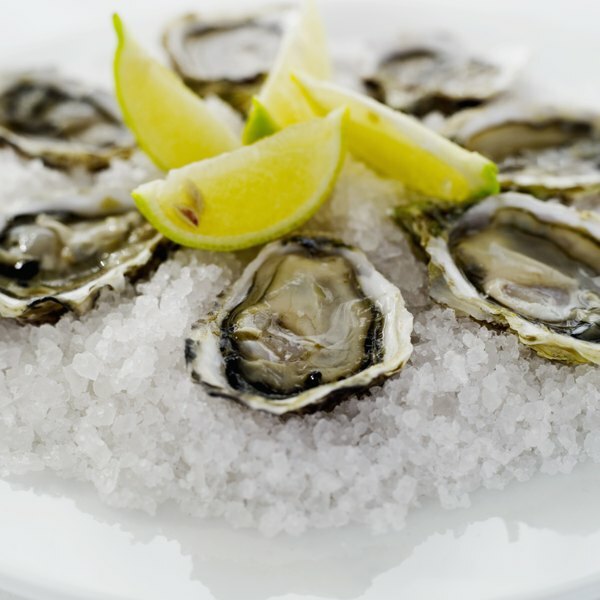 Dietary sources of zinc include oysters and other shellfish, red meat and poultry as well as some cheeses, including Swiss and Gouda. Legumes and whole grains also contain some. If your diet doesn't provide enough omega-3 fatty acids, you may be at risk for developing dandruff. Increasing the amount of these essential fatty acids in your diet may reduce your dandruff. Omega-3s appear to have a number of other benefits, including lowering risk of heart disease, diabetes and osteoporosis, note health experts from the University of Maryland. The primary sources of these essential fatty acids are oily, cold-water fish like tuna, herring, mackerel and salmon. Fish and krill oil capsules provide an alternative source. Intolerances or allergies to certain foods may contribute to dandruff, suggests a 2001 article in the Encyclopedia of Alternative Medicine. Consider reducing the amount of dairy, seafood and high-fat foods in your diet and avoiding citrus fruits like oranges and grapefruit until your dandruff improves. If you suspect a food intolerance, consult a health care provider about diagnosis. A diet that contains a lot of saturated fats and trans-fatty oils may promote the growth of P. ovale, a fungi thought to cause dandruff, write Duke University hair care experts. If your diet includes large amounts of red meat, margarine, chips or other sources of these fats, consider cutting back. Eating a diet rich in salt or sugar and drinking large amounts of alcohol may also make dandruff worse.